FREE delivery to United Kingdom in 4 - 5 weeks. A curious and unique design, a low chair to relax. A chair with a lot of lines that gives that little extra to a chair. Nathan Yong is the man behind the N-chair collection. “I like my designs to evoke a sense of wonder”, he says, and that is exactly how we feel about this seating range. 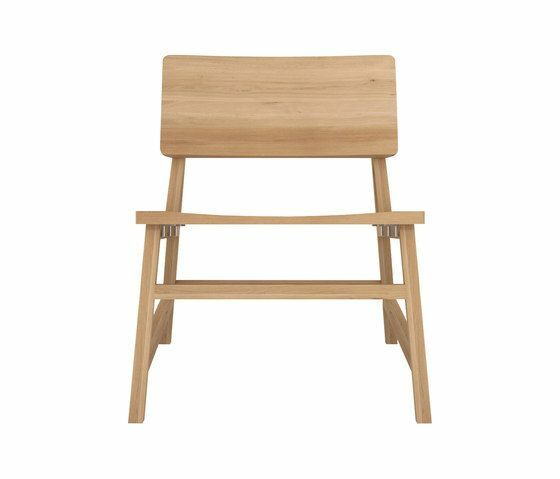 The N3 counter stool is available in oak and teak. Please note that Ethnicraft use natural woods which may vary in shade and finish. For 15 years, we have been producing timeless furniture from solid teak and oak.